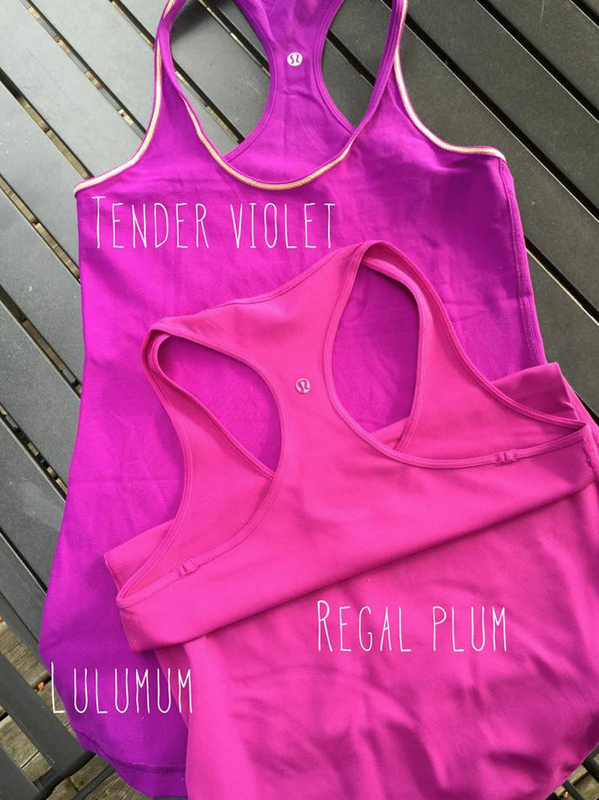 I was surprised to see my Regal Plum Cool Racerback that I ordered Wednesday morning on my doorstep this afternoon. For some reason I wasn’t expecting it to arrive until Tuesday, after our Victoria Day long weekend, so this was a nice surprise. I have Tender Violet and I wondered if the colors where too similar. TV is definitely more on the purple side while RP is much more pink. I definitely love Regal Plum and am glad it’s more pink. "All You Need Crop in Jewelled Magenta, Water/Salty Swim Line"
Lulumum is tender violet from 2010 or 2011? I have a purple CRB with yellow stitching from that time (looks identical to the one you posted). I am worried regal plum will be too similar. I expect mine will arrive next week. It's actually from 2012. The stitching on this one is Orange Pop. I wonder if you have Potion Purple from 2010 which is a lovely color. what about RP and ultraviolet?